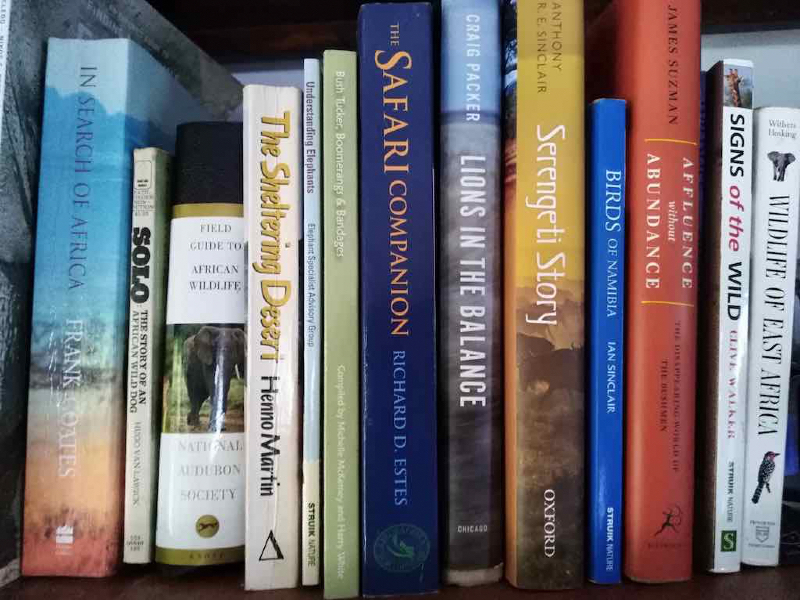 These days, I still love a good read about Africa, both non-fiction and the occasional novel, and I always advise safari guests to read at least one or two books about Africa before they join me on safari. There are many excellent pocket field guides you can take along with you to help you identify the animals, and these days there are apps too which save you some valuable luggage space (and weight), one of which can even record the sound of a bird and identify it for you (amazingly helpful!). Recently I put a request out on facebook to fellow Africa-philes to let me know your favourite African book. The list below is a combination of my favourites (quite a few are on my book shelf) and those suggested on social media from my facebook friends. By no means is this a complete list, but it should be enough to get you started. Where I've read a book and have an opinion, you'll find a comment or two below. If I've missed some good ones, let me know and I'll update the list again soon. Please feel free to share this list with anyone you know who's going on safari soon! Frank Coates - African novels that are rich in historical and cultural detail.... Try the evocative "Tears of the Masai" for starters. Beverley Harper - I feel like Beverley had many more African novels in her, but sadly she died in 2002. Her books are timeless and take you on a great escape to different parts of Africa. Try "Echoes of an Angry God" and "Footprints of Lion". I picked this book up many years ago in Singapore Central Library and what a find it was! Joyce runs NGO Elephant Voices which is a brilliant source of information for anyone wanting to learn about elephants and she is an outspoken elephant conservationist. Among her scientific discoveries was that African elephant bulls go through musth, which was thought only to occur in Asian elephants prior to her work. You'll learn heaps about elephants in this book, but it's also a beautiful personal story and I couldn't put it down. One of the first books that got me dreaming of a future as a zoologist in Africa, this true story of elephant guru is set in Kenya at a time when zoologists were just getting started studying the species of Africa. It's a classic. Iain Douglas-Hamilton is still working to conserve elephants through his organisation Save The Elephants. Cynthia started the longest running elephant project in Africa, the Amboseli Elephant Project in Kenya, which is still going today, and she continues to be a prominent voice for elephant conservation. Few people on the planet know as much as she does about elephant families. A book from the front line of elephant conservation, this book focuses on Katy's work on elephants' infrasonic communication and as you go along with her on her field work you get a unique perspective on life as a conservationist in Africa. Both great reads about Caitlin's fascinating work on how elephants 'listen with their feet' (seismic communication) focusing on her research in Namibia. A deeply personal memoir and a heartfelt love letter to Africa, this is a moving tribute to Zimbabwe's elephants based on the author's time spent with elephants in Hwange National Park. The story of 13 years spent by an intrepid Australian woman with the elephants in Hwange National Park, Zimbabwe. From one of the greats in the world of elephant conservation, this personal memoir is truly a classic, and you really must read this before visiting Africa, especially if you are visiting the Sheldrick's elephant orphanage in Nairobi. 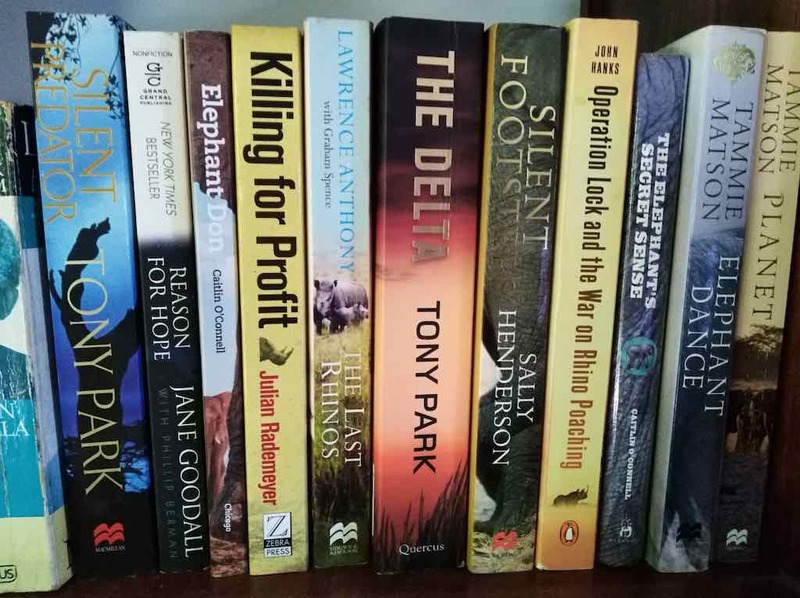 Shameless self-promoting here, my 2nd and 3rd non-fiction books are all about the issues facing elephants today across their range. Elephant Dance focuses on human-elephant conflict in Africa and Asia, while Planet Elephant is all about the illegal ivory and rhino horn trade. Both are personal journeys full of adventures, excitement and occasionally a little romance! Top of my list here are Peter Allison's non-fiction books, "Whatever you do, don't run", followed by "Don't look behind you, but". These true stories from Peter's life as a safari guide in the Okavango Delta of Botswana are absolutely hilarious, hair-raising at times and just an all round good introduction to the excitement of being on safari in this beautiful part of Africa. The fiction series by Alexander McCall Smith - start with the No. 1 Ladies Detective Agency and go from there! The sweetest books set in rural Botswana in a rural town and you can't help but fall in love with the central character, Precious Ramotswe. A best-seller for good reason, this fantastic book is set in the Kahalari Desert in Botswana where the Owens' were zoologists. Do yourself a favour and read this before you go to Botswana! This gorgeous book is the true story of two American women who remain friends into their 20s, 30s and 40s, both of them living intrepid lives in different parts of the world. I especially love Ginger's stories of life with a baboon troop and raising her son in Etosha National Park. This book really captured me. This is the true story of two German geologists who sought refuge in the Namibian desert and lived a Robinson Crusoe existence for two and a half years. A great read! Published in 1907 and still a childrens' animal classic. Stories from a South African childhood, this book is just brilliant. As funny as the successful comedian is on his hit TV show, this book had me in fits of hilarity and will appeal to anyone who loves Africa. Corinne Hofman's "The White Masai"
This book sold 4 million copies which tells you something! The story of a a love story between a European woman and a Samburu warrior, I must admit I found this compulsive reading. Another classic story to let you in on the history of the Serengeti. Set in 1950s Serengeti, this book is essential pre-trip reading. Written by a celebrated lion scientist, I really enjoyed this book and learned so much about lion social structures and the battle to save them in a climate riven with politics, corruption, poverty and big game hunters in Tanzania. If you've read Dian Fossey's "Gorillas in the Mist" you'll want to read this story of two scientists who worked with her on the mountain gorilla project and provide a different perspective to this period in Rwanda's history when the future of the gorillas was more fragile. A personal story about the Rwandan Genocide that led to the deaths of about a million Rwandans. I learned heaps from this personal true story about the life of a Rwandan man who became the parliamentary speaker in Rwanda's new government post-Genocide. I really enjoyed this book about the true story of Clementine Wamariya, who was a young girl at the time of the Genocide and eventually found herself living in the US. Her journey to get there is incredible. This deeply moving account of the author's long term work to conserve the hippos of the Turgwe River, Zimbabwe takes you on a journey of no ordinary woman. Definitely one for the book list prior to travel! As someone who's done some work with the San Bushmen in Namibia, I loved this book and it's written by one of the world's top anthropologists on this subject. While the subject is on the traditional hunter-gatherers of Africa, there is much that can be gleaned for modern society and it does make you wonder if we'd be better off (and happier) taking on some of the ways of the Bushmen. The story of a missionary family in post-colonial Congo, this book is brilliantly written and very hard to put down. One of the first books I ever read set in Apartheid era South Africa, and I must have read it 3 or 4 times since. Still a fantastic book. 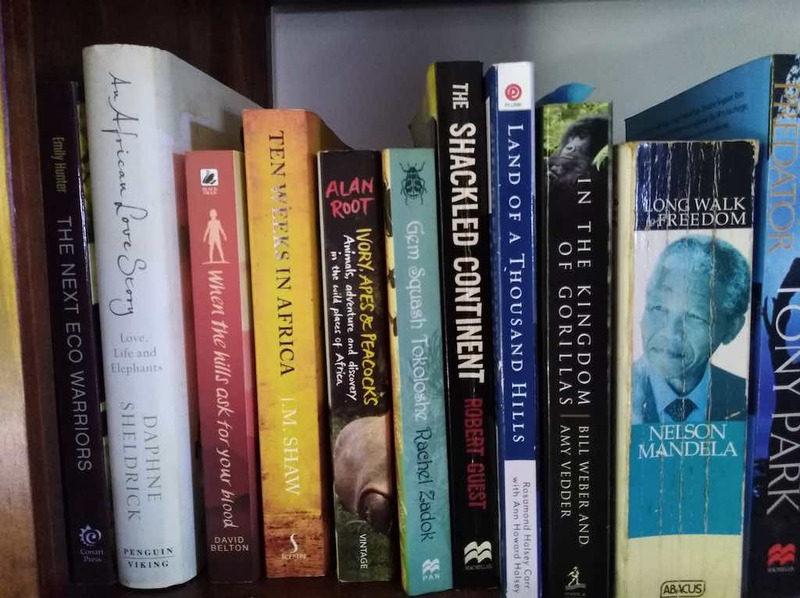 I know I've missed quite a few so if you've got a recommendation for a great African read send me a message at our contact page and I'll add your contribution above. Happy reading!